Unlike other rock hammers that are just vertical mining hammers stuck onto a drill, the Roughneck was designed to turn any horizontal directional drill into a highly productive rock drilling machine. The Roughneck rock hammer is capable of drilling at rates up to 150-feet per hour with exceptional steering performance. 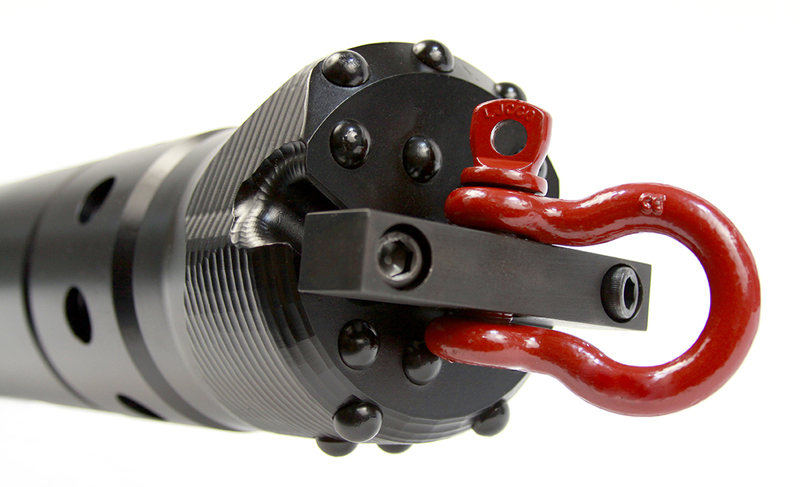 When coupled with the universal HD high flow rock drill housing, the Roughneck expands the capabilities of a single pipe directional drill to encompass nearly every rock condition you may face in the field without changing out the housing. 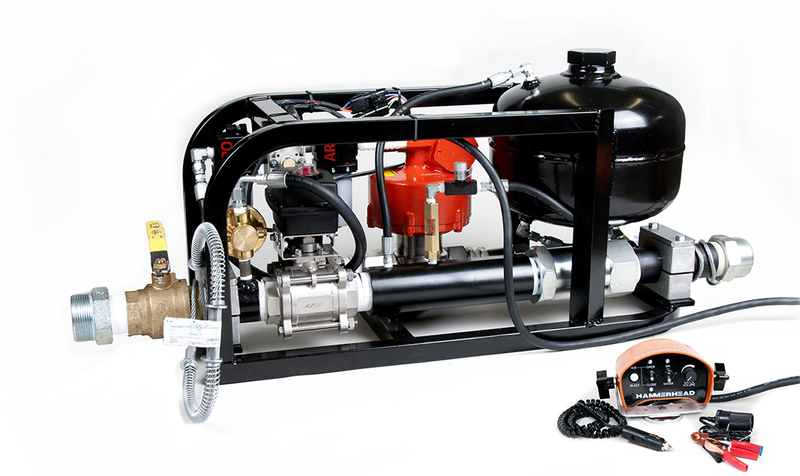 HammerHead® has a reputation for producing the most advanced pneumatic equipment for the underground construction industry and the Roughneck is no exception. Roughneck was born for directional drilling. Give us a call, and let us show you how hard it can rock. Whether you’re drilling in soft rock, solid rock or intermittent conditions like boulders separated by soil, the R400 rock hammer will hit your target. The patented offset steering rock bit design provides precise steering. Patented check valves in R400 bits eliminate ingestion of debris and face cleaning exhaust ports prevent plugging of the hammer maximizing tool performance. 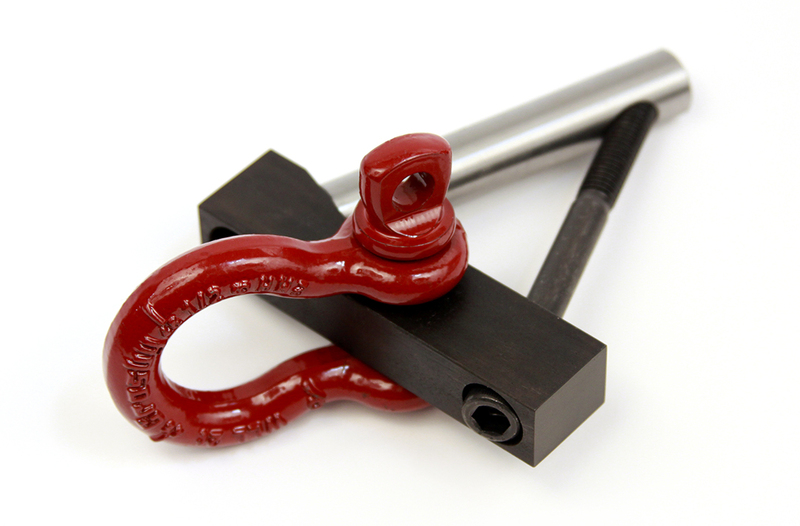 A quarter century ago, HammerHead developed the easiest to service piercing tool in the industry. Following that tradition, patented spanner wrench holes are incorporated into the front and rear of the hammer reducing the number of breakout jaws required when changing out the bit or servicing the tool. The high flow design of the HD universal housing complements the Roughneck by increasing the air flow. This makes the Roughneck Rock Hammer hit harder and faster, supplying your drill with unmatched power to operate successfully in the toughest rock. HammerHead offers a complete system to get your drill up and running. A complete Roughneck rock hammer system includes: a Roughneck Air Hammer, straight and offset bits, patent pending pullback kit, control station/oiler with integrated electronic controls, drill conversion kit including hoses and fittings, hydraulic breakout tooling, universal HD high flow rock drill housing that utilizes the industry standard API thread making system connection easy. The control station with integrated electronics is easily installed on any drill. Simply install a tee and a ball valve on the high pressure side of the mud pump to provide a path for the air supply to be directed into the drilling fluid supply line. The Roughneck control station utilizes the drill’s existing mud pump to efficiently deliver air, oil and fluids down hole. This innovative design reduces the control station footprint and weight. 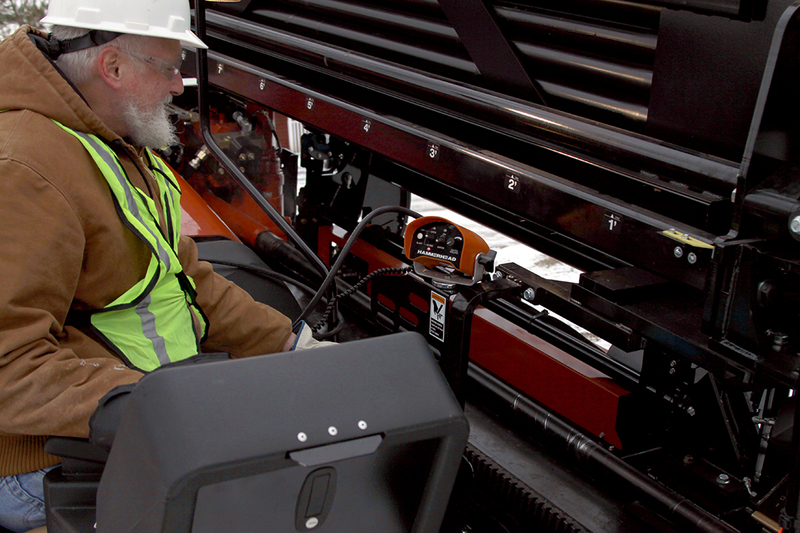 Integrated electronics facilitates maximum control of the drilling operation, providing the operator with outstanding control and increased productivity while never leaving the drill operator’s station.